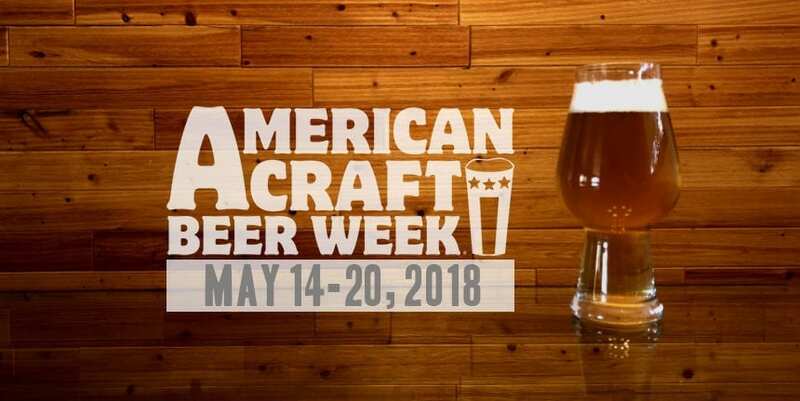 The Brewers Association kicked off its 13th annual American Craft Beer Week®. 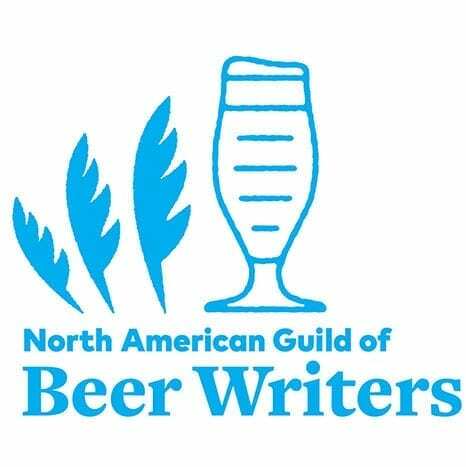 The 2018 installment, which runs from May 14-20, celebrates America’s small and independent craft brewers. Utah brewers, breweries, and finer beer-drinking establishments are celebrating the craft all week long. 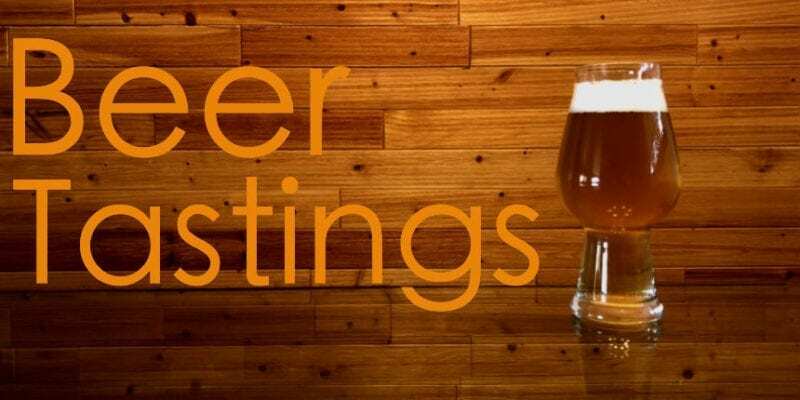 Many will release special beers, offer daily deals, and participate in beer-related events. I’ll share my personal American Craft Beer Week exploits here, on Instagram, and on Facebook. 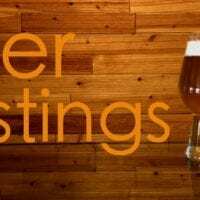 For a comprehensive list of how Utah is celebrating American Craft Beer Week, be sure to visit the Utah Beer Blog. Bohemian Brewery unveiled a limited Mango Kölsch to kick off American Craft Beer Week 2018. 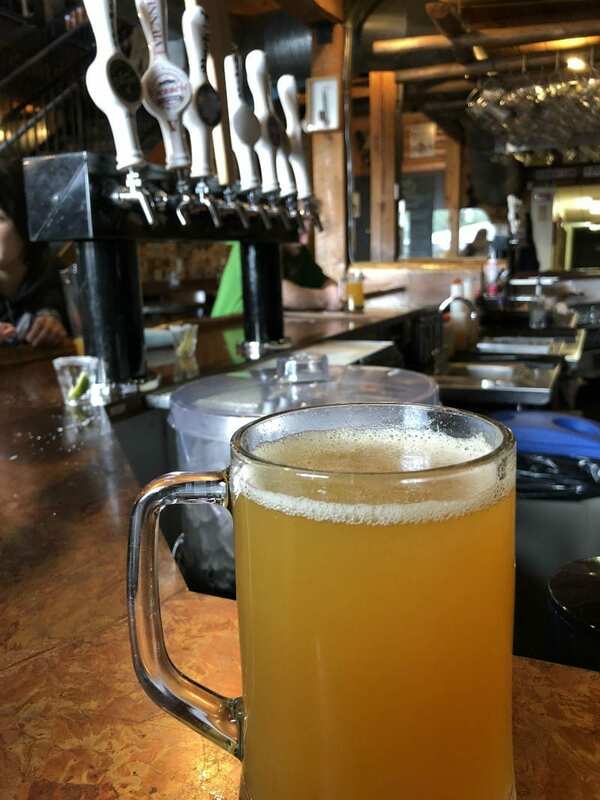 I grabbed lunch at Midvale’s Bohemian Brewery for “Just Another Mango Monday.” A 24-ounce mug of Bohemian’s Mango Kölsch accompanied my lunch-special salmon BLT. Alex behind the bar mentioned it’s a one-day-and-done deal. But if you miss out on the Mango Kölsch, be sure to stop in for the everyday version, minus the mangos. The Mango Kölsch pours much the same way a no-pulp orange juice does. It’s not clear by any means, but it’s not particularly cloudy, either. It’s bright and pretty. Aromas of tropical fruit, mangos, and a hint of bread. The flavor is a smooth-drinking juicy sensation without rind bitterness. I’m a fan of Bohemian’s traditional Kölsch, which is brewed with speciality Köln malt and Hallertau hops, according to the brewery on UnTappd. This one, however, provides an added burst of juiciness. Squatters’ Acapulco Gold, a Mexican light lager, is a crisp and refreshing beer. I skipped Day 2 of American Craft Beer Week but made up for it by hitting a couple spots on Wednesday. 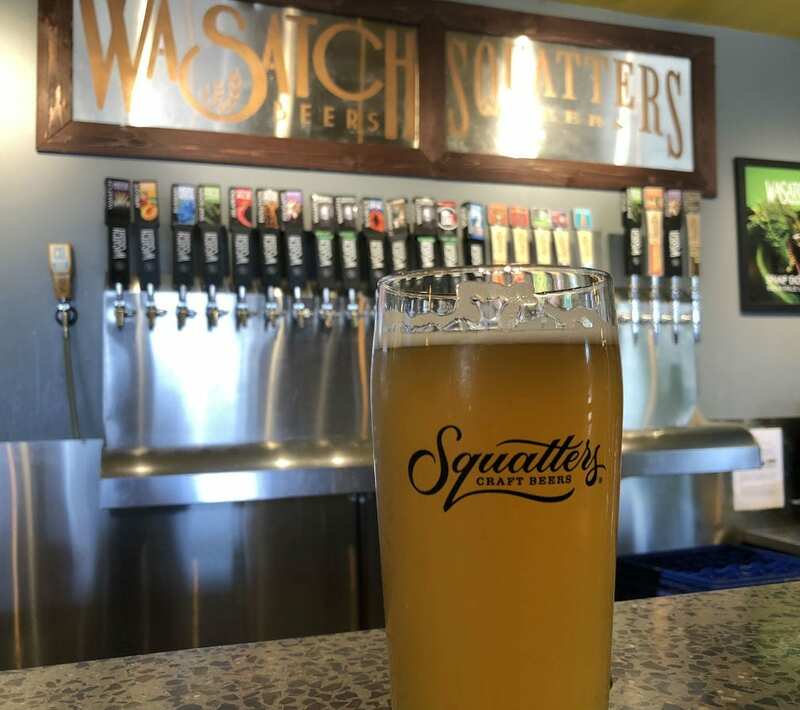 First up: Squatters Craft Beers, a downtown Salt Lake City fixture since 1989. The brewery is serving 12-ounce drafts for $2.50 all week, and I took advantage of a couple of their seasonal offerings. 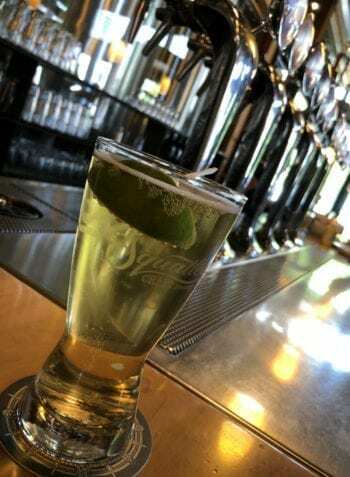 The Acapulco Gold is a Mexican light lager served with a lime that pours clear. It’s light and refreshing, and a beer you wouldn’t mind drinking on a hot summer day. Next up, Squatters’ Strawberry Kölsch called my name. It, too, pours clear—with an added sparkle. Subtle aromas of strawberry are inviting, and slightly more-pronounced notes of strawberry come through when it touches your lips. The fruit isn’t overpowering, making it a solid choice for a variety of occasions. Shades of Pale jams blueberries and blackberries into a firkin filled with its Berliner Weisse. 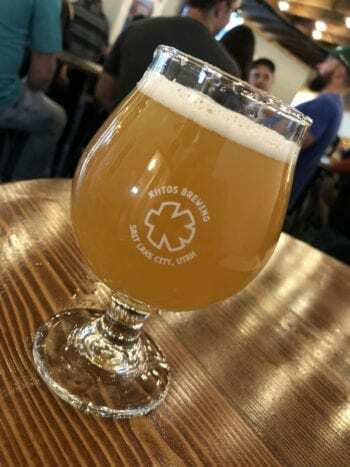 In the evening, I headed to Shades of Pale Brewing Company, a somewhat-hidden South Salt Lake establishment. I’ve frequented the spot even before it officially opened. Founder Trent Fargher gave my wife and me a tour of the operations in its infancy. 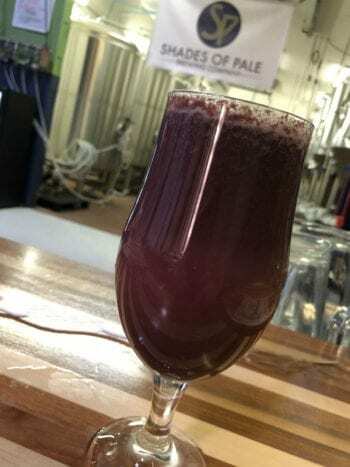 For American Craft Beer Week, I made a special trip to try Shades of Pale’s everyday Berliner Weisse packed in a firkin and jammed with blueberries and blackberries. Not nearly as tart as Shade’s standard Berliner Weisse, the firkin special reminded me of a blueberry smoothie. Apparently I was the first to try it (outside of brewery staff), and a few carbonation issues were still being ironed out. After that, I turned to a pint of the Berliner Weisse with plum (a semi-regular offering) and wrapped up my tasting session with the good ol’ standard Berliner Weisse. All three were tasty, but for my money, the plum-infused sour is my favorite. Galactic Juice, a hazy IPA brewed by A. Fisher Brewing Co., packs a punch of citrus and some tropical fruit. We’re more than halfway through American Craft Beer Week and I had yet to make it to A. Fisher Brewing Co. I beat the post-work crowd and grabbed a seat at the bar. First up: Galactic Juice. Haze is the craze right now when it comes to IPAs. I admit, I enjoy them. But I also enjoy a traditional hop-forward brew with some clarity. Nevertheless, the Galactic Juice at Fisher is worth sacrificing your IPA true-to-style purity pledge. It’s juicy goodness with notes of citrus (orange) and some tropical fruit (pineapple, mango). It offers a shot of bitterness, but nothing extreme. I followed this up with my go-to at Fisher — the Rye Cream Ale. It’s a mellow, malt-forward favorite. The rye adds a nice spice and the finish is silky smooth. Before heading to Fisher, I stopped at the West Side Tavern (Squatters/Wasatch). I’d planned to take a tour of their brewery, but apparently advanced reservations were required. No fear, there’s still beer. 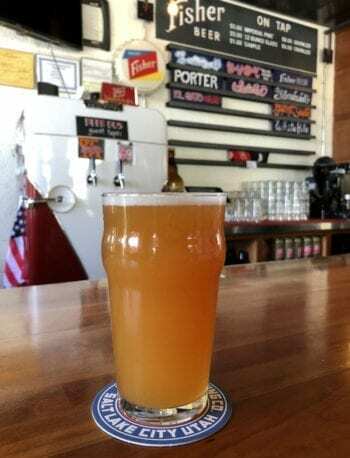 I enjoyed a pint of their seasonal Tempest-tost Wit, a pleasant beer with notes of grass and what I believe to be wheat toast (or maybe Wheat Thins). Either way, it’s an easy-drinking summer brew. 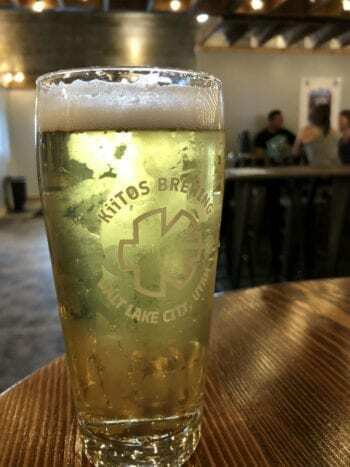 Kiitos’ Pilsner is a nice summer refresher with a crisp lemon-lime feel. TGIF! 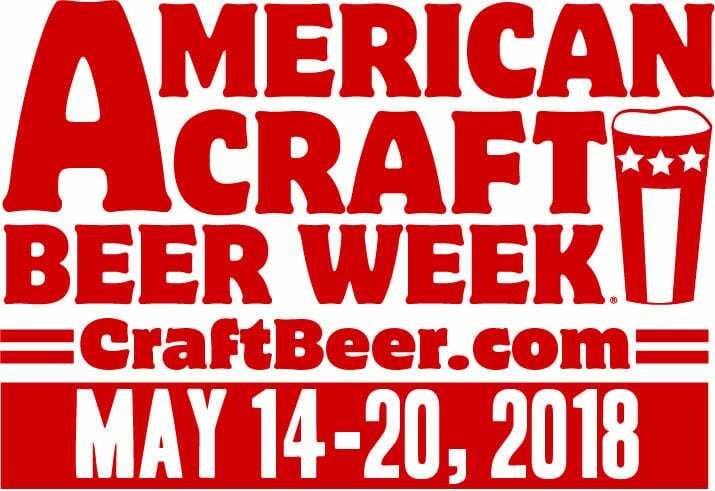 Of course, during American Craft Beer Week, every day is like Friday. I traveled to Kiitos Brewing, one of Salt Lake’s newer breweries, in search of a just-released American Lager. To my surprise, the lager is a full-strength beer (6% ABV), meaning it’s not available on draft but can be purchased to enjoy elsewhere. Fellow brewer 2 Row shared a firkin with Kiitos on Friday. Its hIPAcrit infused with pineapple is a tropical delight. I purchased a six-pack, but not before enjoying two draft pints at the environmentally friendly brewery (Kiitos’ High Efficiency Brewing System uses 40% less water than traditional systems, for instance). The Kiitos Pilsner is a light refresher with champagne-esque bubbles scurrying to the top of the glass. Aromas are floral, herbal, with some citrus. Flavors are citrus, primarily lemon-lime. It’s a crisp, effervescent brew perfect for the end of the work week. Next up, a guest firkin: 2 Row Brewing supplied a firkin of its hIPAcrit IPA saturated with pineapple. Aromas of pineapple for miles, though the hops balance out the sweetness in the taste. A slight bitterness finishes the beer. Making my way to the exit of the now-packed tap room, I headed a few blocks northeast to Red Rock Brewery, a staple in Salt Lake for nearly 25 years. I started with one of my favorite summer styles, a Gose. Pronounced “gōse-uh,” it’s a German style wheat ale brewed with salt and coriander. Red Rock’s Lime Gose, released a day earlier, pours a hazy, muted lemon and smells of “ocean water, lime zest, and crackery malt,” according to the brewery’s tasting notes. Side Note: Red Rock provides perhaps the most-complete tasting notes and beer stats of any Utah brewery. 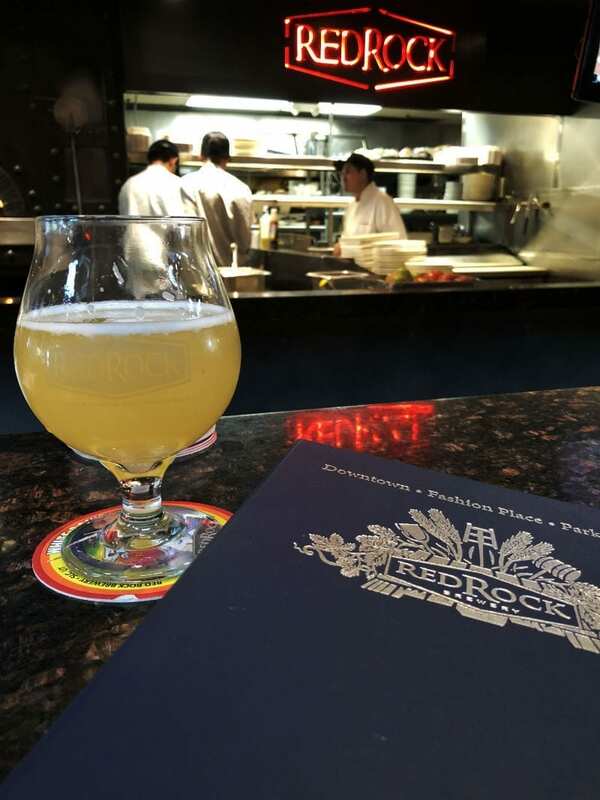 A three-ring binder educates beer enthusiasts on each of Red Rock’s offerings. Very helpful! Red Rock Brewing’s Lime Gose is salty-tart goodness. Lime peel in the beer adds an extra kick of citrus. Lime dominates the flavor profile for me, but the brewer’s tasting notes also highlight saltwater taffy and rock salt. And, as Red Rock says, it “gose perfect with sunny afternoons, no lime necessary. SaltFire Brewing Co., Utah’s newest craft brewer, opened with four beers, all above 4% ABV. 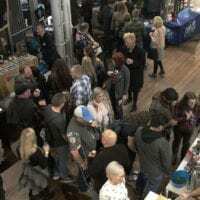 I attended two fantastic events today: SaltFire Brewing Co.’s grand opening and a Beer Garden Party at Fisher Mansion (check out additional coverage on both events). First, it’s always exciting to see a new craft brewery join the scene. 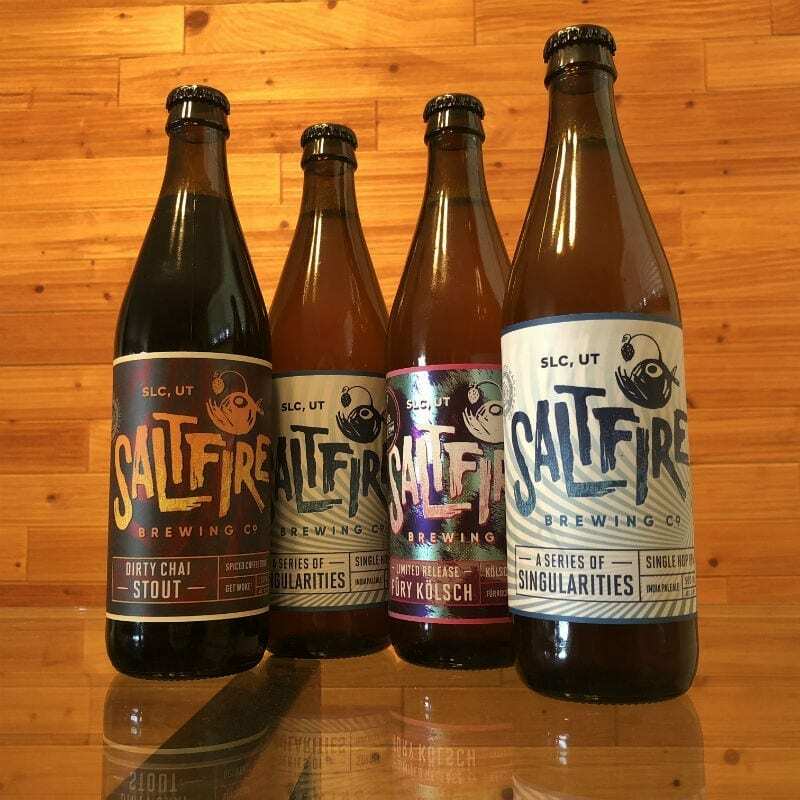 SaltFire’s initial releases are all “high-point” beers (above 4% ABV), so on-site tasting wasn’t available. I picked up a bottle of each to enjoy at home. From there, I drove to the historic Fisher Mansion. It’s the first time I’ve been there, though A. Fisher Brewing Co. has held similar events on the grounds in the past. While soaking in the sun, I enjoyed two pints of Fisher Beer, the brewery’s classic American Pilsner. It’s perfect for a sunny late-spring day. I had a chance to talk with SaltFire head brewer Patrick Bourque, as well as Fisher’s Colby Frazier and Tim Dwyer. 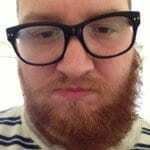 Click the links to see the videos. Uinta Brewing’s 801 Pilsner is a solid brunch beer. We’ve arrived at the end of another American Craft Beer Week. Boy, what a week it was! Unfortunately, I didn’t make it to any breweries today. But I did taste a couple local craft brews. The Uinta Brewing 801 Pilsner is a solid brunch beer. I enjoyed one today at Porcupine Pub & Grille with a plate of French toast. The Pils pours a light-yellow straw color and features subtle aromas of wheat and grass. Flavors are slightly sweet, bready/crackery. It delivers a nice crispness. 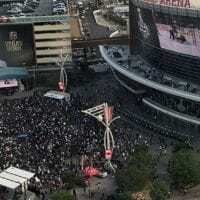 Later in the evening, my wife and I went to an Eagles concert. As part of its recent remodel, the Vivint Smart Home Arena (home of the Utah Jazz) installed a Craft Shop with a dozen or so local handles. Between renditions of Take it Easy and Hotel California, I enjoyed another Uinta brew. 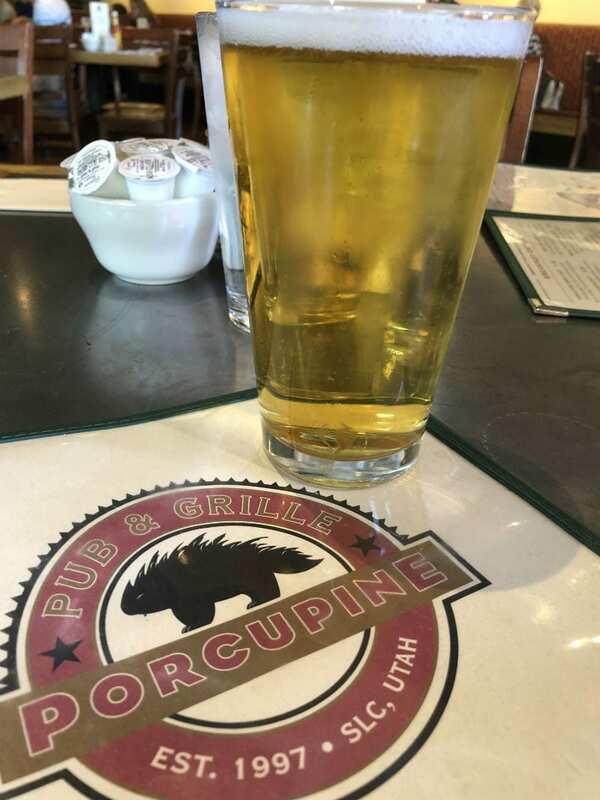 This time, I opted for a Utah institution — Cutthroat Pale Ale. I also grabbed a Last Pitch IPA from Park City Brewery. 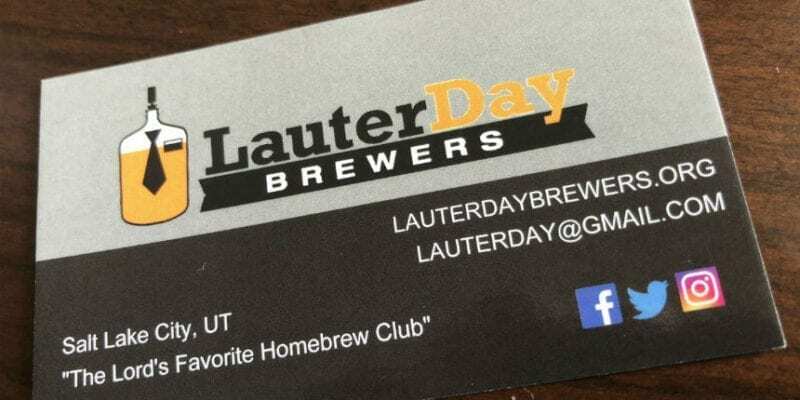 Tomorrow, Utah Beer News officially starts its first full week! I’m so appreciative of everyone who’s helped in the launch of the site. Please consider following us on Instagram and Twitter, liking us on Facebook and subscribing to our email list. If you’re a supporter of craft beer, why not take the CraftBeer.com pledge to seek the seal? This entry was posted in Beer, Blog, Out & About and tagged American Craft Beer Week. Bookmark the permalink.